Welcome to 107 Underwood Ave! 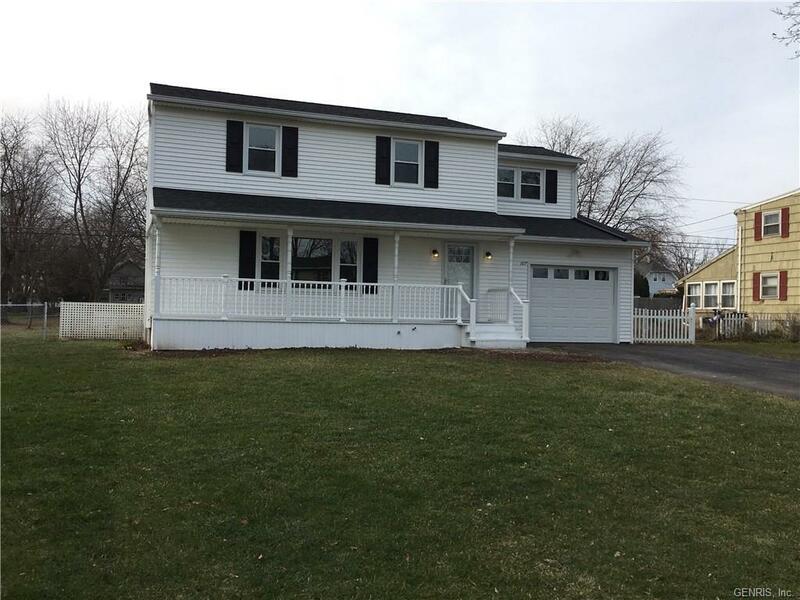 A completely renovated 4 bedroom/1.5 Bath colonial in the Village of Hilton. All new vinyl windows plus a complete tear off roof in 2016. High Efficiency Furnace w/ central air, as well as a brand new hot water tank,. Fresh Paint and carpet throughout, as well as beautifully restored hardwood floors in all 4 bedrooms. Spacious 3 season room (Not included in square footage) overlooks the fully fenced back yard. All new appliances included. Come see all this beautiful home has to offer!